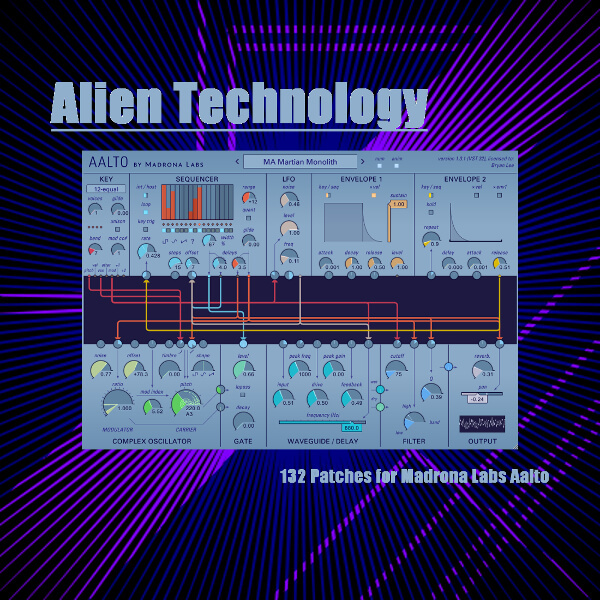 The Alien Technology soundset contains 132 presets, comprised mostly of exotic machines, atmospheres, foleys, special effects and abstract sequences; with a small serving of instrument sounds to round out the collection. These patches are particularly well-suited to film and game scorers as well as producers of IDM/Braindance, Ambient, Avant-Garde, Glitch, Minimal Techno and Future Garage. Please note that Madrona Labs Aalto is required to use these sounds.